The tail-end specialist is opening a New York office as it deploys its debut US dollar secondaries fund. Hollyport Capital has branched out with its first overseas office, almost a year after the firm held the final close on its first US dollar-denominated fund. 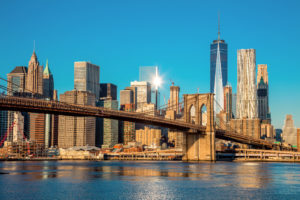 The London-headquartered secondaries firm is opening an office in New York, according to an invitation announcing the opening seen by Secondaries Investor. The invitation, which lists the opening celebration as 25 October, does not provide further details of who is leading the office. A spokeswoman for Hollyport declined to comment. Hollyport beat the $400 million target of its latest secondaries fund, Hollyport Secondary Opportunities VI, to raise $500 million in October after around 10 months of fundraising, according to PEI data. The firm’s previous five funds were denominated in sterling and the firm decided to the raise Fund VI in dollars to attract US investors, John Carter, Hollyport’s chief executive told Secondaries Investor in October. The firm has roughly doubled or more than doubled the size of its funds since it raised its debut £6 million ($7.8 million; €6.7 million) vehicle, a 2007-vintage. Last year, Hollyport hired at least six additional investment professionals for its London office, according to its website. The tail-end specialist has also been investing in GP-led restructurings, including backing the restructuring of Fenway Partners‘ 1998-vintage fund, as Secondaries Investor reported in June. Tail-end interests accounted for 24 percent of deal value in the first half of this year, the highest proportion compared with full-year figures since at least 2012, according to data from Triago. Hollyport is the latest European secondaries firm to open an office in the US. In March advisor Campbell Lutyens opened offices in Chicago and Los Angeles, while in 2016 preferred equity specialist 17Capital opened a New York bureau.